Sea View Tower @ Harbour Place is a condominium project located at Butterworth, Penang. Consists of two 17-storey condominium blocks with a total of 354 units. Sea View Tower offers four design layouts and each condominium has a built-up area measuring from 670 to 1,785 sq.ft. The facilities include swimming pool, wading pool, jacuzzi, squash courts, sauna, reflexology path, gymnasium, 24-hours security and a sky lounge. Built-up Area : 670 - 1,785 sq.ft. What other sq feet is there available for this and how much? floor plan? Does any one know what is the price range? Thank you! have checked on the website..there are 670 sqft, 900sqft till 1285 sqft and the biggest is 1800sqft(according to website)? So my guess is basically around 200 - 250K for the 900 - 1285sqft? just my guess..
Have also pass the area, look at building..not bad looking.. I had gone to their show house last year when I was at Butterworth then. All pool facing units were show out. And the squash court was at their top most floor, next to those pent house unit. Don't like staying next to squash court. And don't like the layout too. The pent house did not give the feel of big and spacious living room, moreover some of the units were facing the 'low cost flats' which I don't like it too. Next to Seaview was the Parkview, many expatriates working in Kulim hi-tech rented their apartment there. Like Parview, Seaview will probably be very well sought after by foreigners working in Kulim. My colleagues paid 1200RM-1500RM for a 1000sqf semi-furnished apartment in Parkview. I will buy a unit in Seaview if I am working in Kulim, unfortunately my working contract ended, and now I am in Singapore, living in a tiny, little pigeon hole. There is a business centre at the top most floor, it was cosy and spacious. The business centre was opened to all residents. Buying a unit next to the business centre sounds good, however that means staying next to the squash court. While in Butterworth, I visited showhouse at AmanBayu at Telok Ayer Tawar and Palm Villas in Bayan Ajam. I like AmanBayu alot! the business centre u were talking about is the sky lounge. A colleague of mine went to the showroom weeks back told me bout this project, and he mentioned that the sky lounge was superb, having toilet and air cond room. The view is overlooking Penang island. All condos pool view seem to be highly sought after eh..why not enquire about other floor if the squash court is a concern..
hope to visit the showroom soon.. I had visited the show house. And to me only the pool view apartments fetch the best view. There are not many vacant units left then... I would not like units that face the nearby church, neither do I like units that face the Bagan Dalam low cost apartments. Please keep me update if you have booked a unit there. Not a bad choice considering there are not many 'high-end' apartment in Butterworth. The units will fetch good rental returns as I still have high hopes on Kulim hi-tech. The sky lounge was indeed superb. Staying next to the sky lounge was not really a bad idea, considering that the SQUASH COURT will be empty at most time. See it yourself and keep me update. went to the showroom and it was fantastic. nicely decorated(all showroom are nice anyway). In fact, the showroom is already sold. The showroom that i visited was of the 1285 sqft. PJD now has a upcoming project, a condo which is just directly beside the seaview tower. Even their sales office are now being re-renovated for this project. This upcoming project will be call Ocean View, according to the salesperson there. u might want to enquire about this from them if u r interested..
hi all, is anyone knows why still less residents to move into SeaView condo since this project has been completed for mroe than a year? the actual conso is superb actually, many untis have sold b ut just wonder why less residents staying there..
yup. 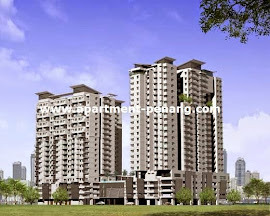 PJD has this investment plan whereby the buyer are guarenteed 20% rental returns. To sign up for this plan(if you are not going for won stay), you'll lease your unit(bare unit) back to the developer for 2 years. Then PJD will rent it out by themselve. Even if they fail to rent it out, your 20% rental return for 2 years are still guarenteed as there will be a contract(agreement)in place than need to be signed. So i guess that is the caused that most units are still empty although its been sold. i've been to the site once at nite and 1 of the building seems quite empty, so probably thats the reason. to confirm you can ask this directly to the developer. i agree with u that the condo is superb. The sky lounge is remarkebly good if you haven been there. thats y from above post by goondu and myself, we really like the poolview units. go see it urself if u still havent. 20% return is phenomenal by any definition!!! u can go straight to the developer and ask for units to rent. i think they shud have a lot. how much is the rent for the studio unit? i need full furnished. Jeff, you may want to check with PJD office if they still have units which come with special incentives. Hi, anyone know the first launch price for sea view tower 1285sf unit? i hv a fren brought 16th floor for 246k. PJD is not a good developer. Like most of Malaysia, they are using a lot of tricks to lure their buyer. Just makesure whatever they said to you, you have their black and white. In PARK VIEW TOWER, the management office and furniture/electrical appliances in the office are not bared by developer, but charged to residents sinking fund. That is the reason why the PARK VIEW residents is owning developer RM180K before staying there. In addition, the developer added the glass door and magnatic card access to the lift lobby (which suppose they commited when the resident buying the house) without residents' agreement and charge RM70K to residents. Be careful when staying in this building. SeaView and ParkView are under same management. Lack of securities. Many units got house breaking incidents and yet the management never took responsibility to alert other tenants. any studio units for sale prefer 6th flr. 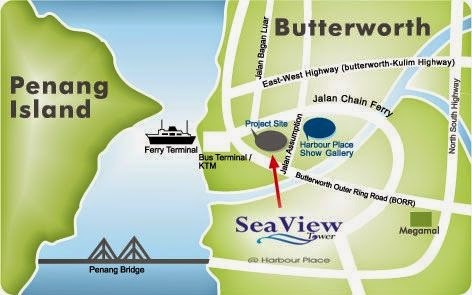 any unit for rent in sea view tower for 3 ppl? I know there got many owner want to let their unit.